Jon Vander Ark, COO, Republic Services, Inc.
PHOENIX, Dec. 7, 2017 /PRNewswire/ -- Republic Services, Inc. (NYSE: RSG) announced today that Jon Vander Ark, 42, has been named chief operating officer, effective Jan. 1, 2018. As COO, Vander Ark will be responsible for operationalizing the Company's strategy and executing its business plan across its field operations. Additionally, he will have functional responsibility for all operational support departments, including safety, engineering, environmental compliance and fleet management, which includes the seventh largest vocational truck fleet in the country. Vander Ark will continue to report to Don Slager, president and chief executive officer. "Jon is a trusted leader who consistently delivers results. He brings a rigorous focus to achieving operational excellence through continuous improvement," said Slager. "I have tremendous confidence in his ability to further embed The Republic Way across the enterprise while optimizing the performance of our field operations through our strong general management team." 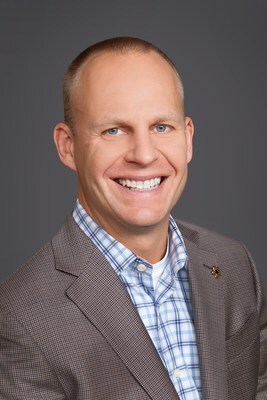 Prior to this appointment, Vander Ark was EVP, operations, responsible for maximizing Republic's field performance, ensuring superior service delivery, and achieving financial and operational results across the Company's operations in the eastern half of the U.S., which represents approximately $5 billion of Republic's annualized revenues. Previous to this, he oversaw the western half of the Company's operations. Vander Ark joined Republic Services in January 2013 as EVP, chief marketing officer, responsible for establishing the Republic Services brand and advancing the Company's customer-centric service approach. Prior to Republic, he served as partner at McKinsey & Company's Detroit office, managing clients across a variety of industries, including transportation, logistics, manufacturing and consumer products. He received a Bachelor of Arts degree from Calvin College and a Juris Doctorate from Harvard Law School. Republic Services, Inc. is an industry leader in U.S. recycling and non-hazardous solid waste disposal. Through its subsidiaries, Republic's collection companies, recycling centers, transfer stations and landfills focus on providing effective solutions to make proper waste disposal effortless for its 14 million customers. We'll handle it from here.®, the brand's promise, lets customers know they can count on Republic to provide a superior experience while fostering a sustainable Blue Planet for future generations to enjoy a cleaner, safer and healthier world.